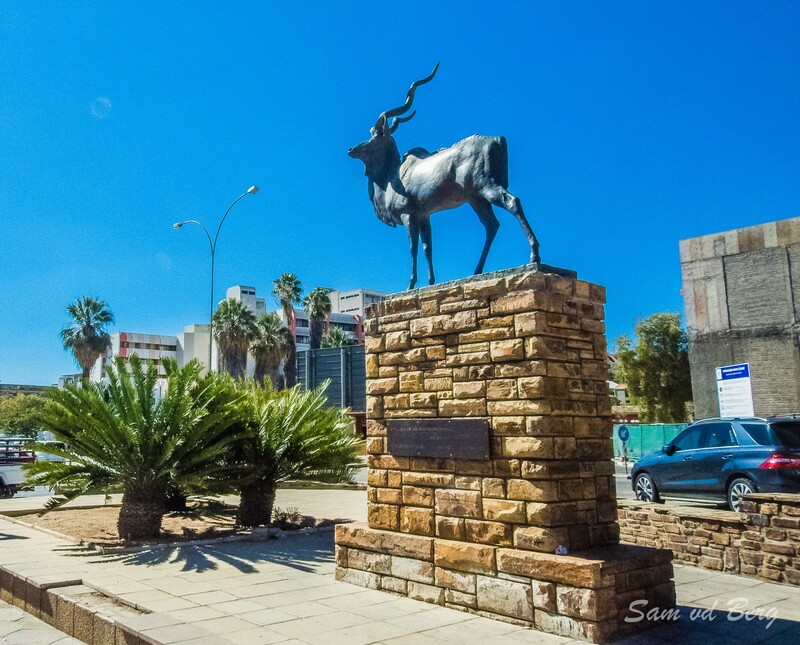 Kudu Statue - Independence Avenue and John Meinert StreetA visiting sculptor, Professor Fritz Behn of Munich, once drew a kudu in the guest book of Mrs. Olga Levinson, former President of the Art Association. "What a marvelous monument that would make", she commented. 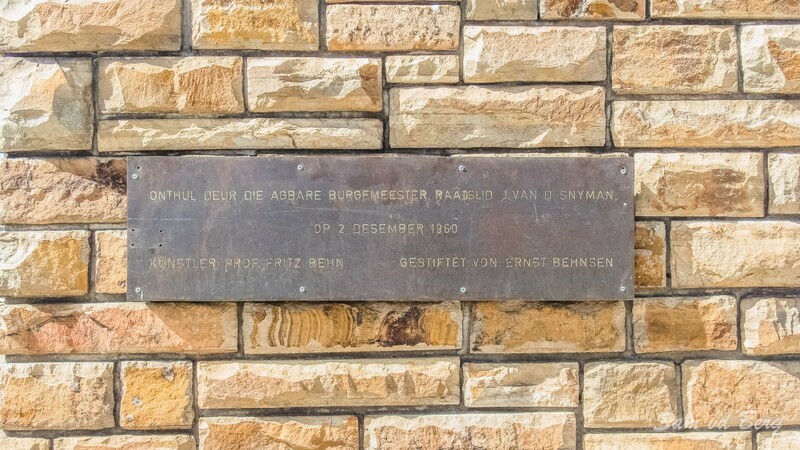 Mr. Ernst Behnsen, a prominent Windhoek businessman offered to pay the total cost of the bronze sculpture. Professor Behn designed, sculpted and cast the life-size statue in Munich. The Town Council provided a suitable site and constructed a pedestal near a fountain in front of the High Court in today's Independence Avenue, which was unveiled in 1960. 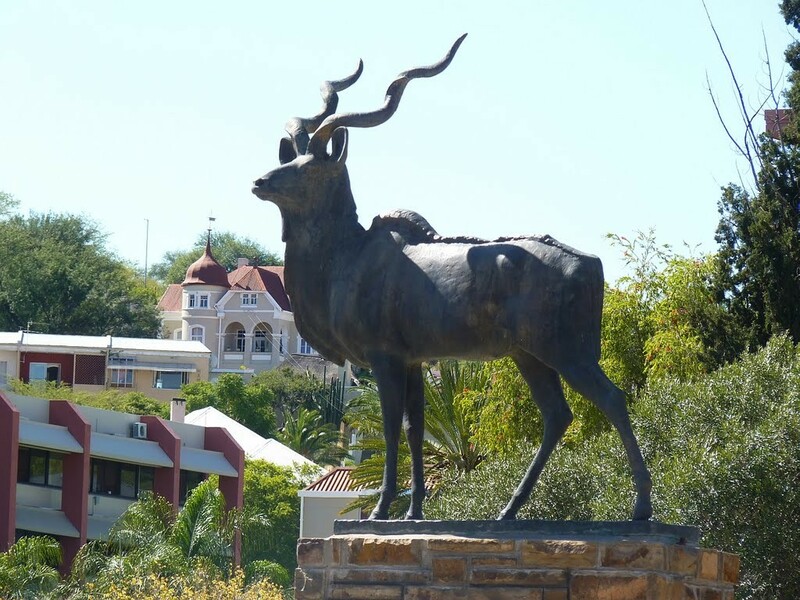 The Kudu statue, a "spirit of hope", in combination with outstanding artistic craftsmanship, symbolizes a shared passion for the beautiful abundance of the country's wildlife.